The file and rasp are used in a similar way to each other for different tasks which can lead to confusion. Whereas the file is used on both wood and metal, rasps are used mainly on wood and stone but never on metal. 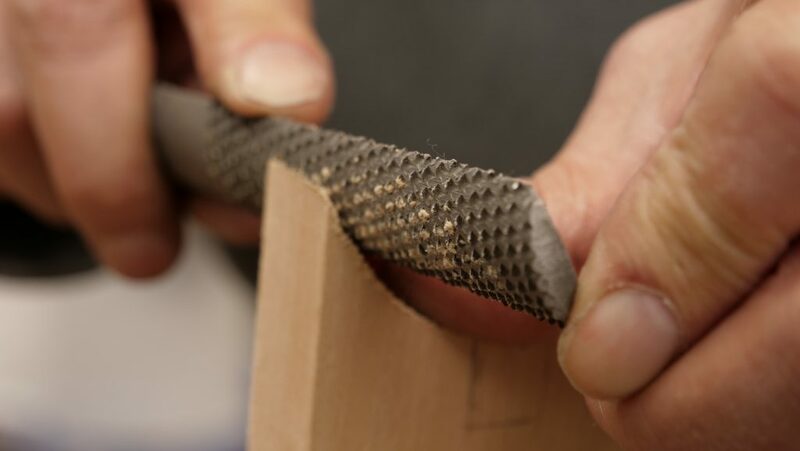 The file is used to shape, refine and to smooth out surfaces, the rasp is used to take larger shavings of material off and is often used to chamfer corners or remove sharp points as well as for rounding and shaping. The handle is gripped by your most dominant hand and your other hand is free to hold the end for additional guidance. The main movement should come the handle hand but the hand for guidance allows you to apply more pressure. 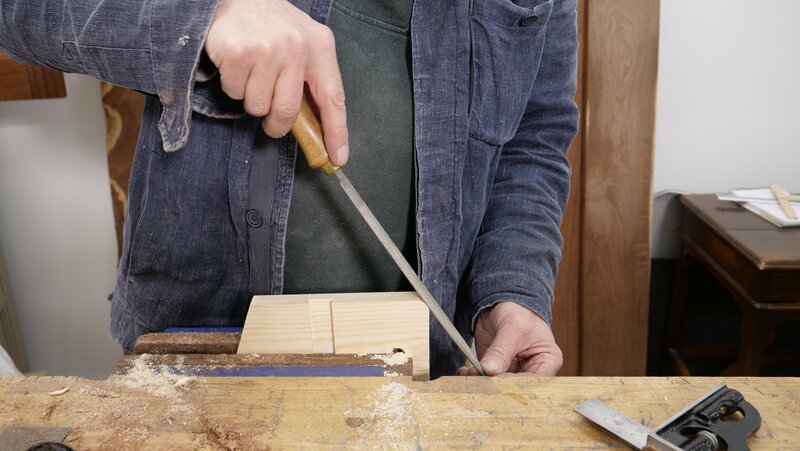 Files and rasps only cut on the forward stroke, so you need to remove pressure or lift off on the return stroke to avoid dulling or clogging the teeth. Holding the rasp with two hands gives you greater stability and allows you to control the direction and force better. 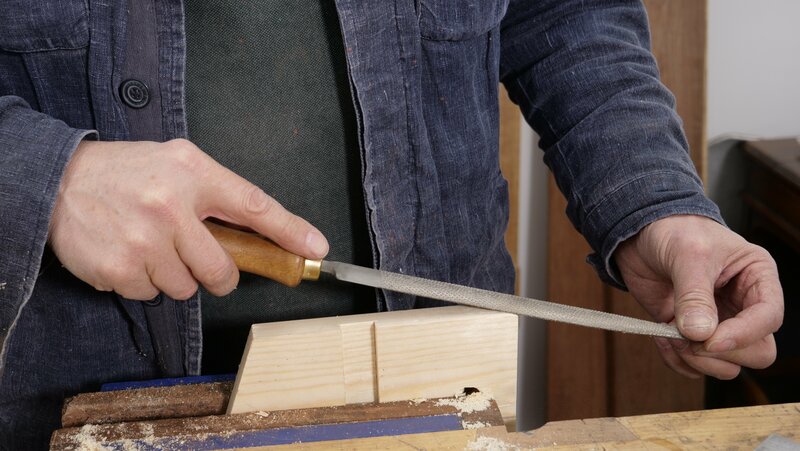 To get an even rounded corner, make sure to use the same pressure as you push the rasp forward and it should result in an evenly rounded edge.